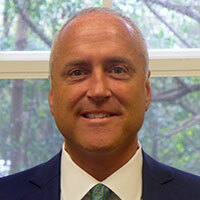 Mr. Paul J. Burkhart, Esquire established the law firm after moving from Baltimore, Maryland to Florida in 2004. Mr. Burkhart has many years of business experience. He is an entrepreneur at heart which benefits the more than 3,000 entrepreneurs he has represented since opening the Law Offices of Paul J. Burkhart, PL. Utilizing Mr. Burkhart’s strong business background, the firm initially focused on Business Law matters and Corporate Governance. Components of his practice includes intellectual property, real estate, and licensing matters. The firm has expanded over the years to include Estate Planning, all areas of Civil Litigation, including business and commercial litigation, Family Law, Probate and Trust administration and litigation, Real Estate Law, and Securities, among other services. Mr. Burkhart graduated from the University of Baltimore Law School in Baltimore, Maryland. He was admitted to practice law in the State of Florida on January 24, 2005. Mr. Burkhart is also currently licensed as a Real Estate Sales Associate, FINRA arbitrator, Life, Health and Variable Annuity and notary public licensed in the State of Florida and is an American Arbitration Association (AAA) arbitrator. In addition, Mr. Burkhart has served and is available to serve in an expert witness capacity concerning business transactions. Business clients frequently work with him in a capacity that exceeds legal counseling. He frequently works with these clients in a general business advisory role in addition to the law.